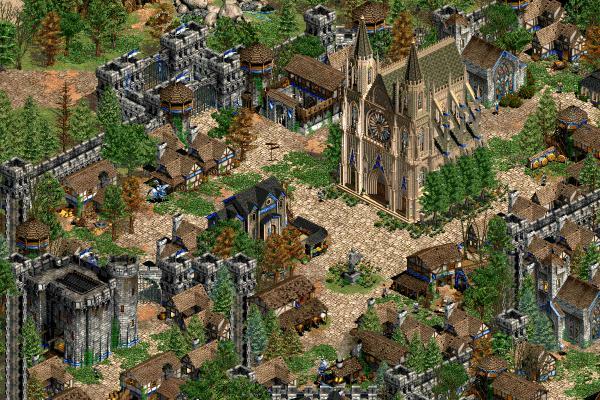 In February 2012, the Czech Age of Empires II Community organized an AoC Tournament. The AoFE project was at a quite advanced stage by then, so they were cool with a guy from Belgium flying over to present AoFE to them! My arrival at Prague was colored by the closure of my destined youth hostel, which was solved in only 10 minutes because I actually kept my eyes open for alternatives on my way to the place. (I learned my lesson after landing up on a cemetery in a small Spanish village at midnight). After settling down, I hurried to meet Tom and Mirek, more known in the AoC community as The_Prophet and Bublifuk. Being in a foreign country, we went to a Chinese restaurant and wisely avoided the “Strange Taste Chicken” on the menu. Now it was time to head over to the Battle Zone, which had an entry that reminded me of a 30’s gangster movie. For a split second the feeling of being abducted by a bunch of crazy Czechs hung in the air. But the feeling evaporated quickly again, in the same thin air. The tournament itself and the whole party were a lot of fun. We kicked off with a presentation of AoFE on the big screen and then we went onto playing the tournament. Which lasted till about 6am. After that, people still found the courage to come over and playtest some games of AoFE, to check out the new units, buildings and features. The full picture gallery of the LAN Party can be found here. I hit the hay at about 8am and spent my remaining days in Prague on discovering the city. It was my third time in Prague, but surprisingly, I still could fill 3 full days of entertainment and sight-seeing. 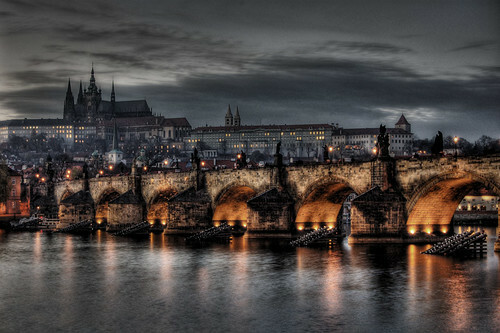 One of the highlights was of course Hradcany, or the Prague Castle. 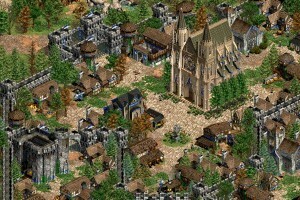 Did you also know that the St Vitus Cathedral in Hradcany bears an enormous resemblance with the Frankish wonder in AoC? Sadly I couldn’t get into the place though because the Archbishop and the Cardinal of the Czech Republic decided to come along and reserve the whole damn place. Anyways, I just carried on my trip through Prague, also highlighting the National Gallery and the “Golden Lane” if you’re interested in Medieval history. I closed off my endeavors with Tom (The_Prophet), over a nice drink and a so called typical Czech meal (dumplings and some kind of cake, both of which I sadly forgot the Czech names).